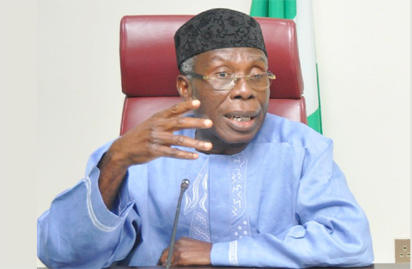 The Federal Government is set to provide solar-powered cold rooms in Kano for the preservation of tomatoes, the Minister of Agriculture, Chief Audu Ogbeh, has said. Ogbeh made this known at the First National Tomato Stakeholders Summit in Kano on Thursday‎. ‎According to him, the cold rooms will be installed in about 15 locations in the state. ‎The minister added that Nigeria and Brazil had signed a 1.2 billion dollars credit scheme for the procurement of 10, 000 tractors for farmers; and to boost the agricultural sector. ‎‎The minster said that the Bank of Agriculture would be re-positioned, adding that 40 per cent of the shares would go to farmers. “Globally, the country is the 14th largest tomato producer ‎with 2.3 million tonnes in 2016,” he said. Also speaking at the event, Gov. Abdullahi Ganduje, restated his administration’s commitment to the revival of agriculture in the state. According to Ganduje, the state government has distributed 5,000 irrigation machines to farmers in the state with additional 2,500 pumps underway.